Hydrates and refreshes with specialty ingredients while restoring suppleness and soothing dry or sensitive skin. Apply twice daily to face, neck, and chest. Avoid getting in eyes. If contact occurs, rinse eyes thoroughly with water. SUNBURN ALERT This product contains an alpha-hydroxy acid (AHA) that may increase your skin's sensitivity to the sun and particularly the possibility of sunburn. Use a sunscreen, wear protective clothing, and limit sun exposure while using this product and for a week following. This cream is very hydrating, absorbs quickly, and leaves my skin feeling like silk. 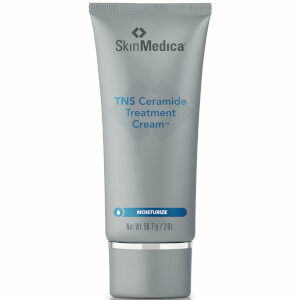 I LOVE Skin Medica products, and I am exclusively using this line. 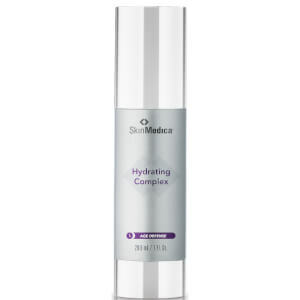 Love this product, I have dry skin and bottom line it works. not a product I buy and toss after a few disappointing use.buy it -- you won't be throwing this one out. I suffer from extremely reactive skin which sometimes goes through periods of relentless rashing that gets worse if I try to apply anything to it. I used to use MD Forte's Replenishing Cream which was great for getting rid of that issue, and that product was discontinued and replaced with Vivite, a somewhat less effective product, also discontinued and replaced with the current SkinMedica product. The price has increased significantly for the same amount of product, and you get a very small amount in return. Although I am happy they are packaging it in a more convenient tube and the ingredients should retain more of their potency, I don't think the price hike is quite justified. However it does work at quieting my skin problems and a noticeable difference in tone and texture happened in less than 10 days. I was thrilled when it went on sale recently so I snapped it up. Would not want to purchase full price though. It doesn't seem like it would last me longer than two months using once or twice a day. It will not provide enough moisture for winter and with my dry skin I would need something else on top of it. To get it to apply easily, the skin must be dampened first. I recommend only for those with reactive skin types.